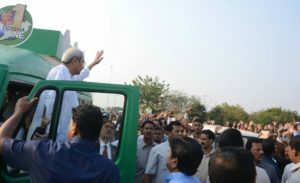 Bhubaneswar: Grand welcome to Odisha Chief Minister Naveen Patnaik upon his arrival at the Biju Patnaik International Airport here after he received the coveted ‘Ideal Chief Minister Award’ during the 8th Indian Students Parliament in Pune on Sunday. 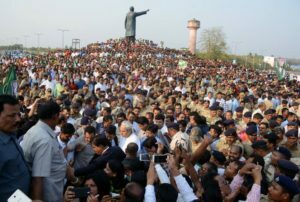 He was today greeted by thousands of people, leaders and party workers of the Biju Janata Dal (BJD) upon his arrival at the Biju Patnaik International Airport in Bhubaneswar. 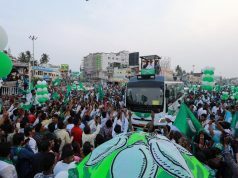 The crowd, which had gathered on the route to welcome their iconic leader, raised slogans. 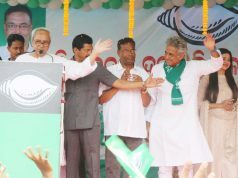 Addressing the grand ceremonial welcome, Naveen Patnaik said, “Your love and affection indebted me. 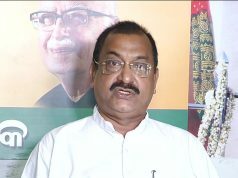 I dedicate the Ideal Chief Minister Award to all the people of my state.” “Let’s join hands and work together to make Odisha No. 1 state in the country”, Naveen appealed the people.